It is not uncommon among developers to discuss about the quality of automated unit tests: Are they testing enough of application code? And more importantly, are they really verifying the expected behavior? However, no matter how useful is to measure code coverage, these reports will not let you know one fundamental aspect of tests: which behavior is being verified! Simply put, your test code may be passing through every single line of your code, and not verifying anything. 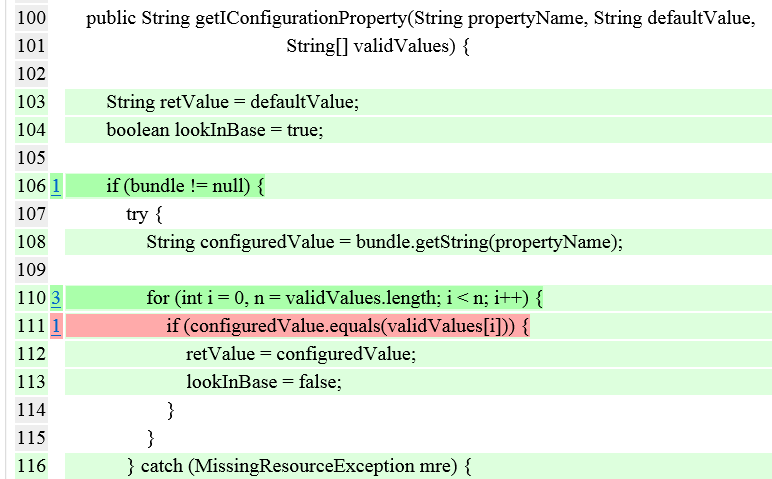 If you are familiar with JUnit framework, your test code may not contain a single assertion! To overcome this limitation of automated unit testing, one technique that can be of great help is Mutation Testing. Let’s assume you have your application code and your test code as usual. A mutation testing tool will take your application code and make small surgical changes, one at a time, a so-called “mutation”. It could be changing a logical operator in an if statement (e.g. > is changed to <=), it could be removing some service call, it could be changing some for loop, it could be altering some return value, and so forth. Mutation testing is, therefore, based on the assumption that if you are testing your code and making the right assertions to verify the behavior, once you re-execute your unit tests with a mutation in application code some of them should fail. Although very interesting, such a technique would be useless without the proper tools. There are some, and for different languages, like Jester, Jumble or NinjaTurtles, but probably the most mature and powerful we’ve seen to date is Pitest (http://pitest.org). Working with Pitest is very simple and requires minimal effort to start. It can be integrated with build tools like Maven, Ant or Gradle, with IDEs like Eclipse (Pitclipse plug-in) or IntelliJ, and with quality tools like SonarQube. Regardless of the way you execute it, Pitest will analyze the application byte codes and decide which mutations will be introduced (for a full list and description of available mutators in Pitest, check their site here: http://pitest.org/quickstart/mutators/). To optimize the test execution as much as possible, Pitest gathers code coverage metrics in a “normal execution” and then re-executes only the matching test cases for a certain mutation. Total execution time is noticeably longer than a normal unit test execution, basically because the incredible test harness that Pitest adds even to the most simple of code bases. As a result, Pitest generates a fully detail report showing which mutations “lived” after the execution, that is, which mutations where not detected by any existing assertion. These “lived” mutations are your main focus, because they mean that there is some logic, some return value, or some call that is not being verified. Of course not all of the mutations will be meaningful. Some may produce out of memory errors or infinite loops. For those cases, Pitest does its best to detect them and remove from the resulting reports. These can be fine-tuned if needed, for example by tuning time outs and other parameters, but sensible defaults work really well to start with. When the report loaded in the browser, the first fact that caught our attention was that one class, that we worked hard to be fully tested, AbstractContext, although with a 100% code coverage it showed one lived mutation. Oops, something was not properly verified. Was Pitest right? Pitest was right! Although that method is fully tested, and there are test cases for every single execution flow, we were missing the proper assertion for that if statement. Really really hard to catch if not for a good tool helping us to find out more about our unit tests. Of course, next step was to add the forgotten assertion to the relevant test method. Once done, we re-launched Pitest. After a few minutes, a new set of reports where created and once loaded in the browser… clean result for that class! Although arguably a bit fortunate to obtain such a fabulous result at the first try, it is true that after a more thorough inspection of the reports we found many other places where assertions were missing. Our view is that Pitest is a very valuable tool to write really meaningful and truly useful automated unit test suites, and should be standard gear for Java projects going forward. It is simple to use, requires zero or minimal configuration, and produces valuable results that directly impact in the quality of the test we create, and therefore in the quality of our deliverables. To mutate, or not to mutate: that is the question. The slings and arrows of outrageous unit tests. Next postSpeaking at JavaOne 2014 San Francisco! By any chance, can we measure this mutation coverage for a remote host running PITest, by instrumenting the code with an agent(say Jacoco) ? Given the nature of mutation testing, in which you execute same tests more than once, typically code coverage and mutation testing are executed as two distinct steps. whether local or remote execution is not relevant, as long as you can pull reports from the host. Supplementing context: http://eclemma.org/jacoco/trunk/doc/offline.html , is there anything similarly doable here? Say I have a continuous integration environment and my Mutation testing coverage is just a metric that can be emitted by the host running PITest whenever it builds? Not really. Mutation testing is a different thing. With JaCoCo you analyze code coverage from your tests, either with agent or offline instrumentation. However Pitest and in general any mutation testing tool is for measuring the test case coverage, that is how many use cases in your code are actually covered by your tests. So, the point I infer is: PITest requires the tests to be run(multiple times). Say, I have a service configured with Jacoco agent running on a host and run a command “get-code-coverage “. i can get the code coverage for this application under test(this should run my tests against the instrumented binary, get trace calls and calculate the code coverage). Similarly, I have a remote application with PITest configurations. Can I make a similar get-mutation-coverage call to the remote host and get my numbers as long as it runs PITest? Yes, just execute Maven goal as explained and Pitest will run the tests over the mutated application code (one mutation at a time).